Elden Nelson (a.k.a. “Fatty”) has two decades of Leadville 100 Mountain Bike Race finishes under all of his belt buckles! Find out what makes him continue to come back to compete in one of the toughest races known to mountain bikers. Elden Nelson with Ken Chlouber (and holding his starting rifle)! I stole this photo from Elden’s blog! 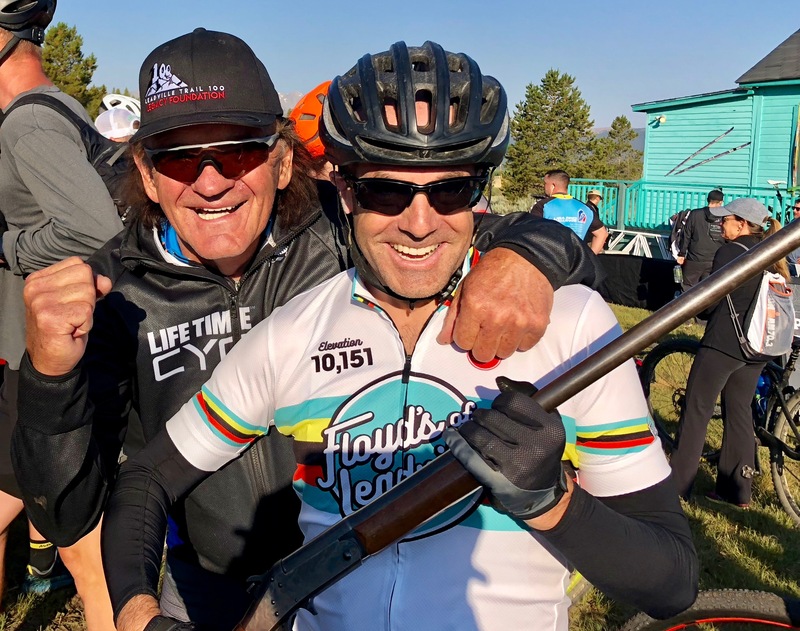 First, a link to “Fatty’s” blog: Fat Cyclist (with lots of great photos of him and his family) and his podcast: Leadville: The 100 Mile Mountain Bike Podcast! If you’re into ultraracing, and specifically racing in Leadville, spend some time with Elden Nelson! Best race, and how many more will he do? If you enjoyed this episode and others, please subscribe to Alligator Preserves on iTunes, Stitcher, or wherever you get your podcasts, and tell your friends about it! Please support Alligator Preserves on Patreon. You will be rewarded!